Can you hear the Scream? Can you hear their scream? These are the Naked Screaming Biscuit Men. I was supporting a crowdfunding campaign for a short film ‘The Naked Screaming Man’ last summer and made these little funny & tasty men as a perk for contributors. 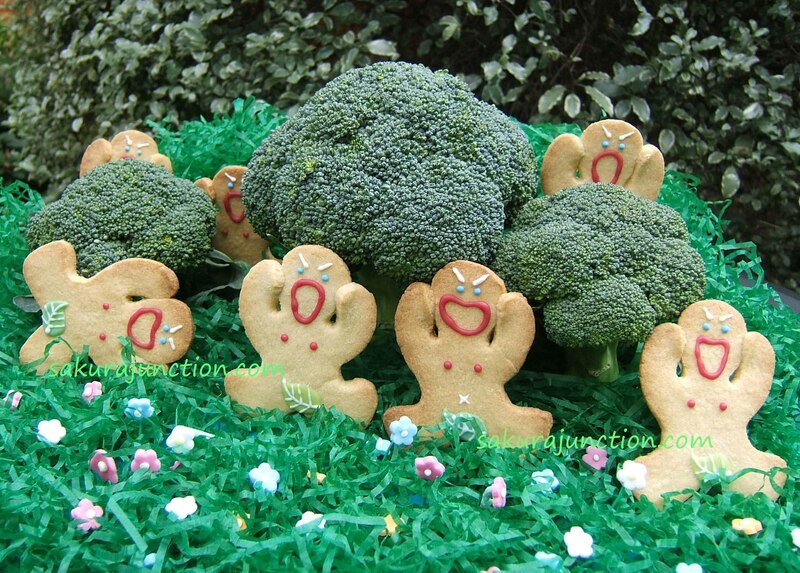 The film is about a Naked Man hiding behind a bush so I wanted to create edible smaller version of him as a joke hiding behid … broccoli bush?! Basically I scaled the situation down!! If faced with broccoli I would scream too! Eh? Don’t you like broccoli then? Very good for you. Thanks. Yes, these are cool guys.